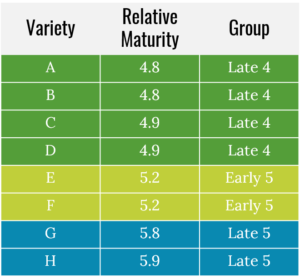 How can soybean producers push yield limits on modern soybean varieties? 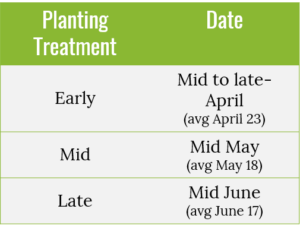 One way may be to alter our “traditional” planting dates and maturity groups. Planting date and variety selection play a major role in determining yield potential in any given year. 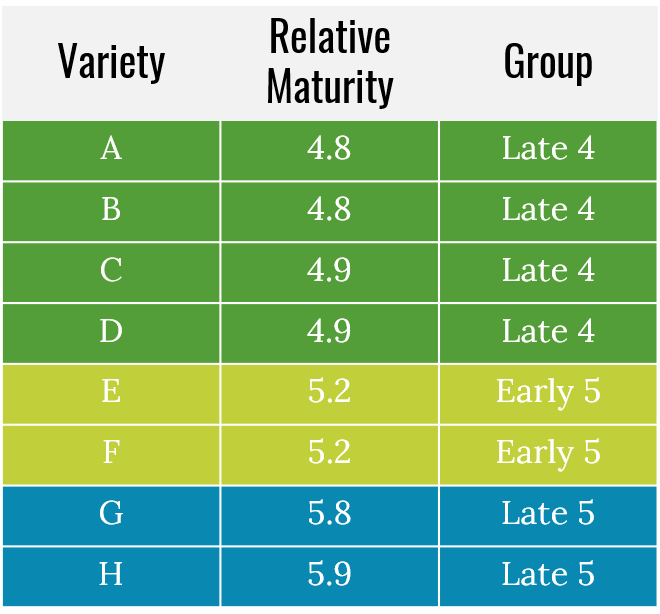 Many growers have been experimenting with varieties of different maturity groups and earlier planting dates on their farms but still, have many questions. To help start to answer these questions the North Carolina Soybean Producers Association sponsored research with a group of crop consultants across the state to evaluate the impact planting date and maturity group have on yield and to determine if plating earlier maturing varieties during the early portion of the planting window could help NC growers increase yield. Over the next few weeks, we will discuss the results from the first year of this study. This work was carried out across 5 locations across the eastern part of the state. 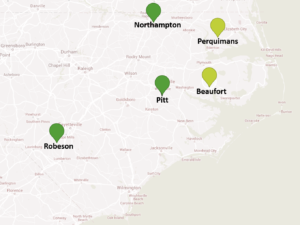 Two locations were in the Tidewater region (Perquimans & Beaufort) while three were in the Coastal Plain region (Northampton, Pitt, and Robeson). Eight different varieties were selected using results from the 2016 NC OVT. High yielding varieties that covered eight brands were chosen. This included four “late 4” varieties (two with a 4.8 relative maturity (RM) and 2 with a 4.9 RM), two “early 5” varieties (5.2 RM), and two “late 5” varieties (5.8 and 5.9 RM). These varieties were evaluated at three planting dates. The “early” date was mid to late-April (average date of April 23), the “mid” date was mid-May (average date of May 18), and the “late” date was mid-June (average date of June 17). When data were combined and analyzed across 4 locations (Pitt excluded because of heavy deer feeding) we saw a significant main effect of planting date with an average of a 7.2-bu/ac yield increase in favor of early planting compared to late planting, specifically for the late 4 and early 5 varieties. 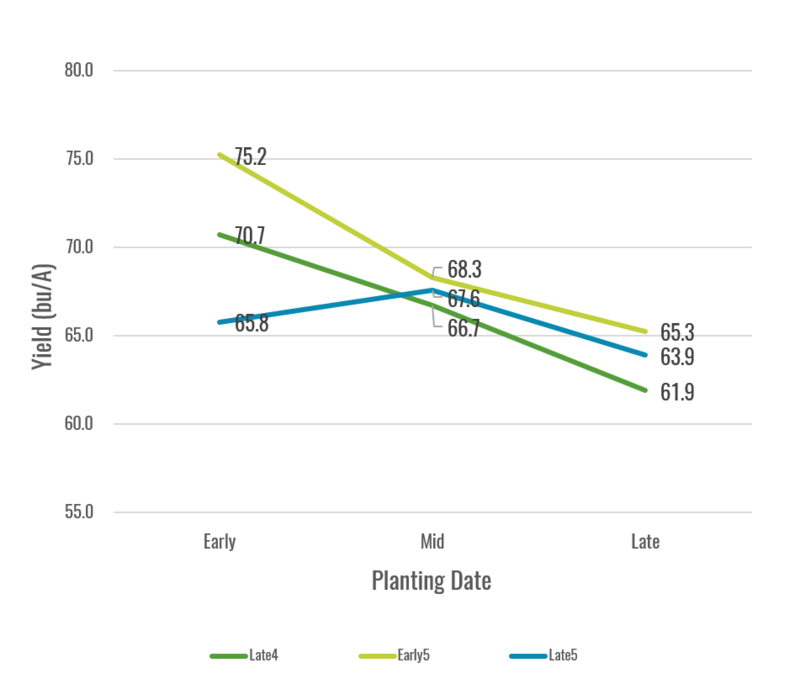 Planting in April for the late 4 and early 5 varieties increased yield nearly 5 bu/ac on average compared to mid-May and nearly 10 bu/ac compared to mid-June. For the late 5 varieties, planted date caused no significant yield response. Also, notice that the early 5 varieties yielded the highest across all planting dates in this combined analysis. 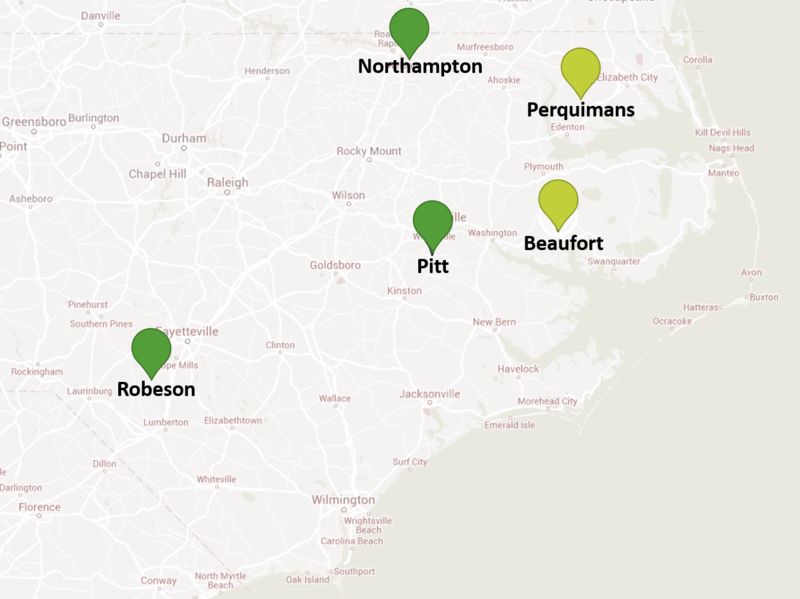 While we see strong yield increases from planting early when the data were combined over all our locations, when we break data down by location, there are actually some obvious differences between the Tidewater and Coastal Plain locations. 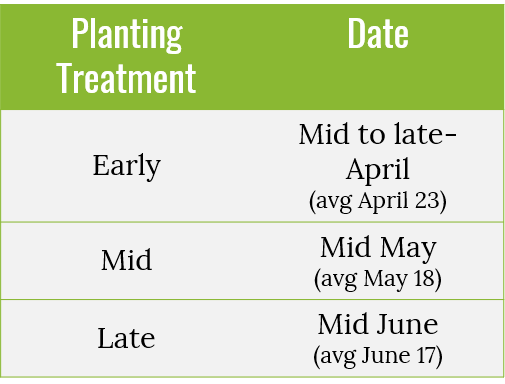 Check back next week when we break this data down by location and discuss some reasons to (and not to) plant early.